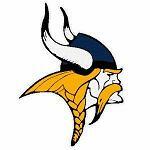 ALWAYS a Viking ! ! rekindle that spirit we enjoyed in school. Certain sections of this site require enrollment. Only recognized alumni, former and current students, teachers and staff are eligible to enroll. some one you can trust! All known updates are in. If you moved or changed your e-mail address, we need the new information - Just re-enroll to update. Pictures of the School ! Select your graduation year. Once the new page loads, you can view the class information by selecting the Class Listing or Secure Listing links. By Enrolling, you will receive an initial e-mail welcoming you. Once your information is manually put into the alumni database, you will receive an e-mail with the username and password.you will need to access the Secure List. IF you are a "class contact," just e-mail me for a current and FREE Excel spreadsheet of your class. Because of members' privacy selections, this spreadsheet will contain even MORE information than displayed on this web site. The information contained within is solely for dissemination among the members of this class. Copyright 1996 - 2021 by Bruce Koehler. Provided as a free service to the Upper Merion High School Alumni.